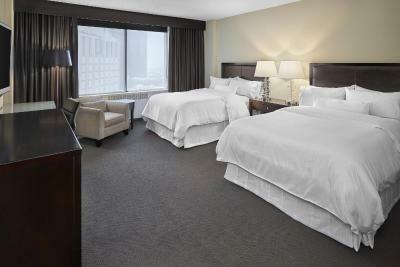 Lock in a great price for The Westin Edmonton – rated 8.4 by recent guests! The location was pretty good for what we needed to do in the area. It was the host facility for a political convention. Pre Halloween weekend and many "Ghosties" showed up. Fitness - cycling and swimming with sauna were restorative after sitting most of the day. Me and my husband stayed there for our anniversary.Even though the staff we nice,and the rooms were nice,I didn’t like that you had to pay for your breakfast.We got egg white omelettes and coffees both days and it was around 40 dollars each breakfast.Also got ticketed on the car when we were leaving because nobody told us to put the ticket stub in the window of the car.They were nice enough to deliever shampaine and strawberries with a card saying happy anniversary.So that did make it nice.I don’t know if I would stay again though,as a free breakfast/parking would be more convenient. The staff was very welcoming and helpful and the beds are very comfortable. Great rooms great view and friendly staff. The morning breakfast buffet was amazing as always! The bed was one of the most comfortable I’ve slept in for an hotel. Staff were very helpful and friendly ! Elevator service was fast. Conference facilities were good. Didn't hear about the breakfast but maybe it was share at the registration that was done by my partner. The hospitality was impressive with all the employees. Room was very clean, spotless. Thank you! The room was roomy, the bed very comfortable and a well appointed bathroom. The buffet for breakfast (could if ordered) was varied allowing to eat a traditional english breakfast or a continental breakfast. Excellent service! Early check in and late check out! The Westin Edmonton This rating is a reflection of how the property compares to the industry standard when it comes to price, facilities and services available. It's based on a self-evaluation by the property. Use this rating to help choose your stay! 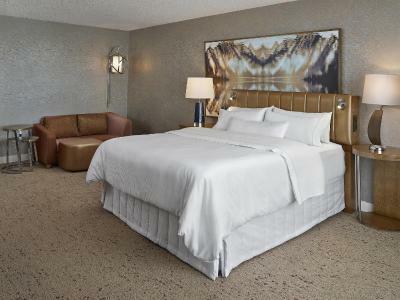 Connected to the Shaw Conference Center and in the heart of downtown Edmonton, this hotel offers easy access to top attractions and features modern amenities and spacious rooms. 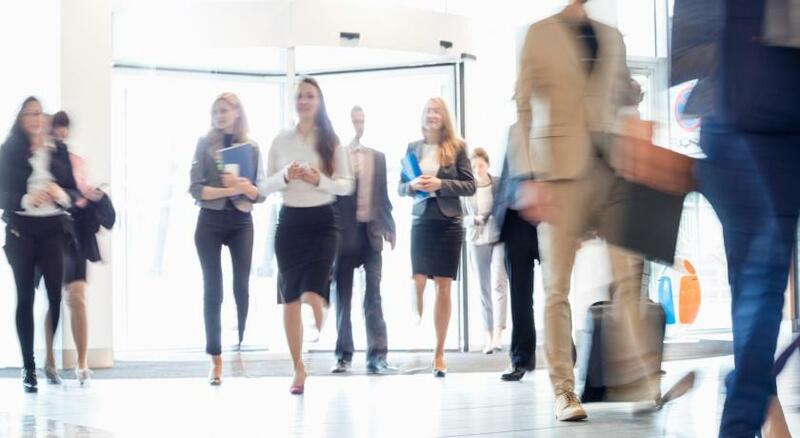 The Westin Edmonton places guests only a few minutes from the Art Gallery of Alberta, the Valley Zoo and the Old Strathcona Historic District. 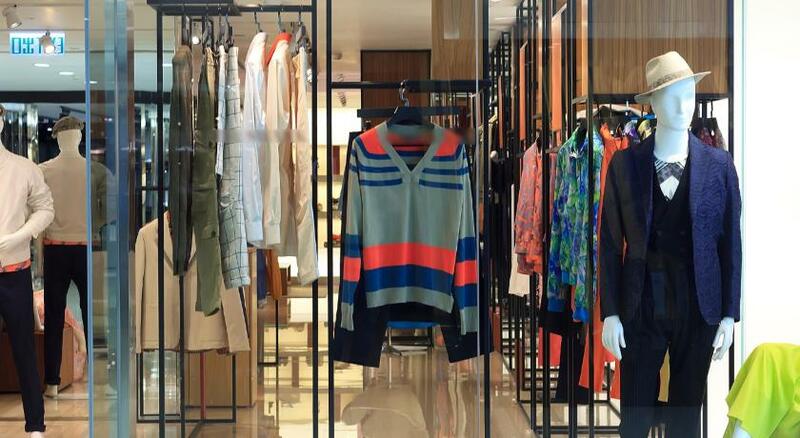 Guests can also easily discover numerous shops and restaurants just steps from the hotel. 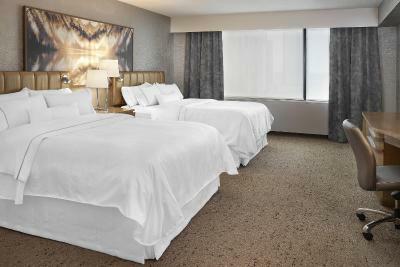 Completely non-smoking accommodations at the Edmonton Westin are furnished with flat-screen TVs, signature Heavenly beds and coffeemakers complete with Starbucks coffee. 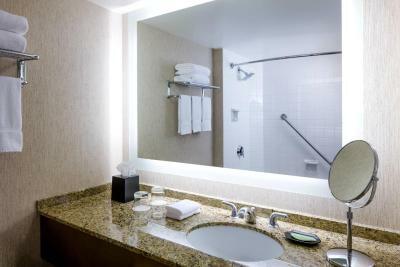 Guests can also take advantage of in-room spa treatments and spacious work desks. While staying at the Westin in Edmonton, guests can enjoy relaxing in the indoor swimming pool or working out in the state-of-the-art fitness center. On-site dining is also available at Share Cafe and the Share Lounge. When would you like to stay at The Westin Edmonton? Public parking is available on site (reservation is not needed) and costs CAD 34 per day. This double room features a sofa, satellite TV and air conditioning. This double room has a tea/coffee maker, air conditioning and bathrobe. House Rules The Westin Edmonton takes special requests – add in the next step! The Westin Edmonton accepts these cards and reserves the right to temporarily hold an amount prior to arrival. Please note that guests must present a valid credit card at check-in to cover incidentals. The name on the reservation must match the name on the credit card. We really liked that you made arrangements with another hotel for the use of their pool while yours was under construction. This made our children very happy. I requested a bottle of wine to be in the room prior to check in but they didn't supply. The view was nice as they gave us a high floor. Bed was like sleeping on big fluffy cloud. Staff were unfriendly and provides wrong hotel information, and very unprofessional. There's no parking in the surrounding area and the hotel charges $34 plus GST even for guests staying at the property. The hotel is super old and needs update. No hot tub at the pool. The only convenience store in the hotel lobby charges you $10 for a small box of Tampons and $6 for a tube of Pringles. This whole property is a robbery. Not worth your money. Nothing. Literally the worst hotel I have ever experienced. The toilet needs work, had to open back lid & manually flush toilet. The heavenly bed is always a treat. The bed was so comfortable.. loved it Staff was so friendly, right from checkin to checkout. Bathrooms are too small . For the cost, the rooms are very standard and a bit dated . The staff is very friendly and helpful . Excellent location . Some rooms need an upgrade. Side tables very scratched and should be replaced. Could use a microwave in the rooms. Stir sticks and one glass was dirty. No free parking or breakfast for the amount we paid. The arrangement of the king bed with relationship to tv was not comfortable at all. Service in lounge was very slow and food not great. The hotel is overrated. Outdated and not worth the money. Parking is expensive. Internet cost extra. Pool facility needs work. Food was awful. the restaurant food and service was the worth i have ever had. waited for hours for food. couldn't get drinks. Once the food arrived it was terrible. burger on a plain bun, all cold. the food tasted terrible to. after hours food seemed better then the restaurant food. Not a lot of coffee shops close by that were open on the weekend. 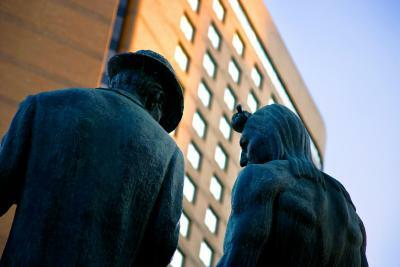 The location was excellent, within walking distance to so many of Edmonton's attractions in the downtown area.